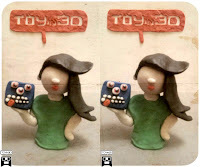 TOYin3D 3D Marketing: 3D viewer TOYin3D "Tips and Tricks"
3D viewer TOYin3D "Tips and Tricks"
In this section we will show you how can be integrated in you everyday life in a funny and original way. It’s very easy and you are the one who put the limits! The first application that you can use to take photos in 3D that I’m going to talk about is i3DSteroid for iOS and Android device. 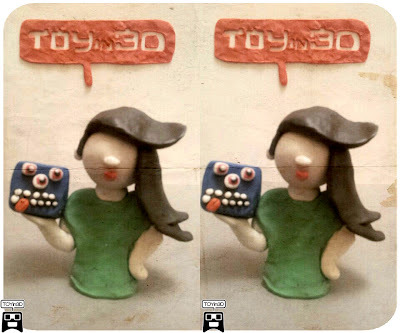 You can download this 3Dapp on your smartphone, let your imagination fly high while you take photographs and then, enjoy the result when you enter your mobile phone in your 3D viewer TOYin3D. You have to remember to take two photos exactly with the same height, and the second one moved slightly to the right. Don’t worry, because we will tell you some other 3D applications, tips and tricks to improve your creations. They will become more and more incredible! For now, I have taken the chance to have fun with something that I didn’t use since I was a child, something as simple as the clay! With this, I welcome you to this blog with my brother, TOYin3D, who will be with me throughout this adventure. We hope you enjoy these experiences that we share with you in this blog with your TOYin3D and tell your friends to delight them with us. 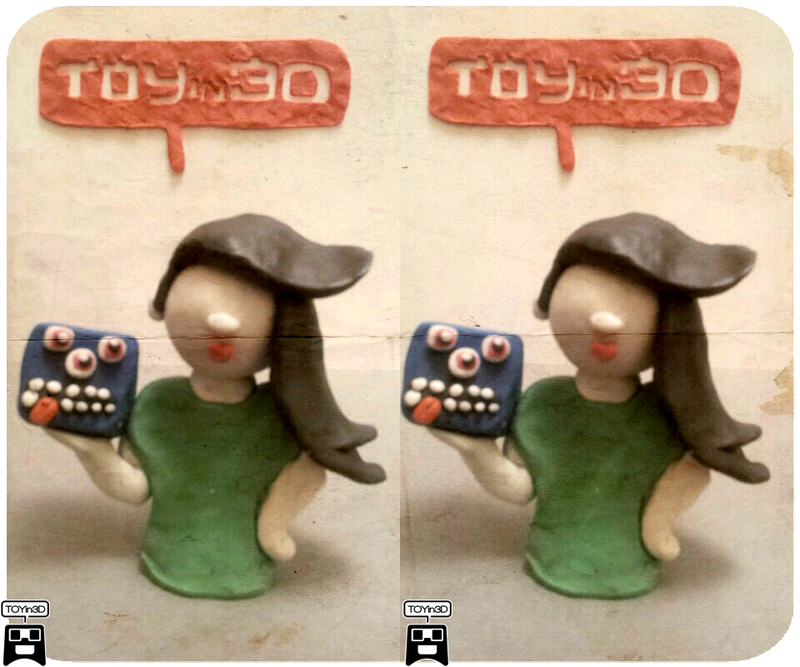 Remember, to watch these images in real 3D on your mobile you need a universal 3D viewer for smartphones TOYin3D.